I have been too tired to write blog posts lately :(. There have been about a million of victories and challenges since my last post. So let’s start from where we left off: Earth Week. 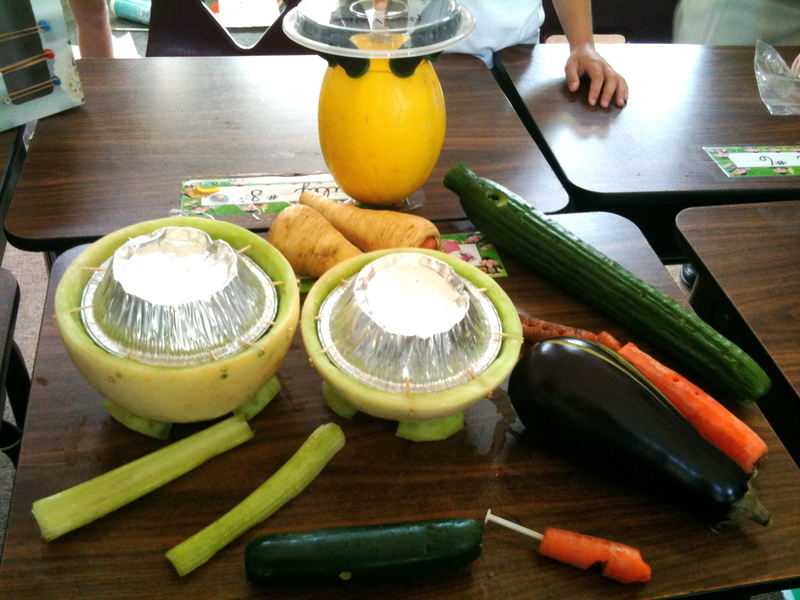 3 Carrot Ocarina/Kazoo, 1 Honey Dew Bongo Drums, 1 Spaghetti Squash Bongo-Shaker Combo, Homemade Cup Shakers, Recycled packaging drum, a Pair of Wine Box Washboards, 3-Bottle flute, Tissue Box Guitar, a Pair of Parsnip Shakers, 1 English Cucumber Wind Pipe, 1 Zucchini recorder, and 1 Egg Plant Clapper. Some of these students had a chance to demonstrate in front of the entire school. It was really fun to watch them & hear their performance during Go Green! song. Everyone cheered them on; I was a very happy music teacher! I heard him from afar as I went around different stations. He was singing fun songs to the kids who sat around the amphitheater conversing and singing to them. 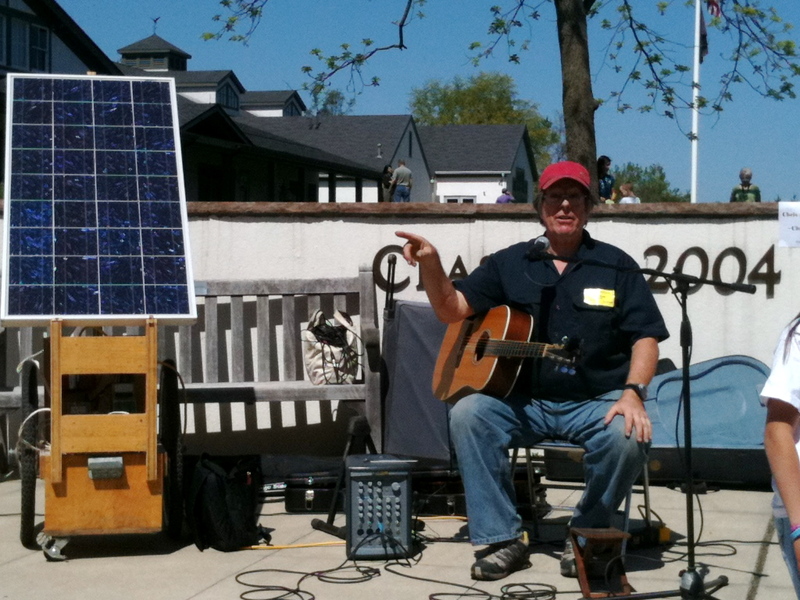 As I approached the amphitheater, I noticed his set up: usual speakers, mixer, mic stand guitar…and a SOLAR PANEL. All of his equipment was powered by solar power. HOW COOL IS THAT? I found out that he’s been playing music all of his life. He loves to go and provide music for the local farmers’ market (YES! Support the local farms!) and a farmer got tired of running extension chords for him and suggested that he should build a solar panel to power all of his gear. Chris Adams invested $800 buying things he need to build himself the panel you see above. 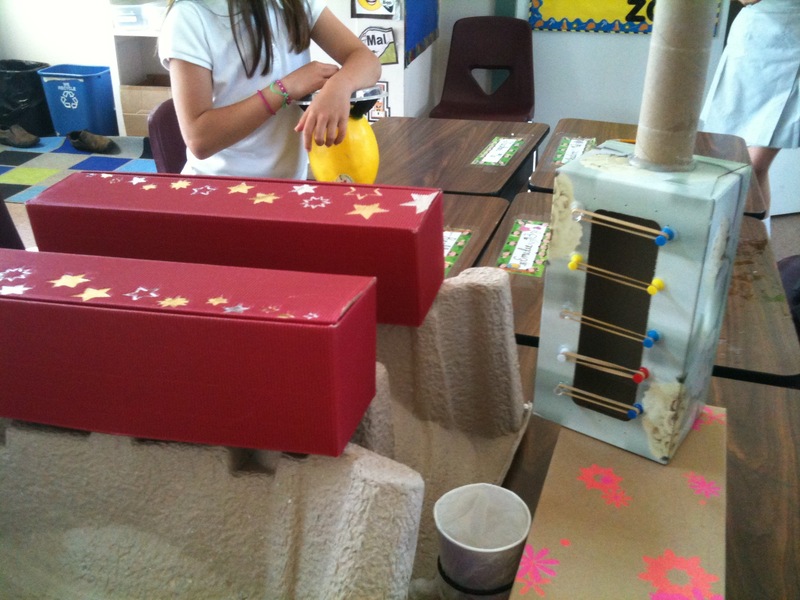 I love this idea, especially as a music teacher. It literally was one of the most coolest things I’ve seen. Chris said that his wife, the practical one of the two, has always snickered at his “expensive” props – until one day when power was down and she, the caterer, needed to prep for her client. The solar generator kept the refrigerator running, allowing her to not waste food, time or money. She changed her mind after that.